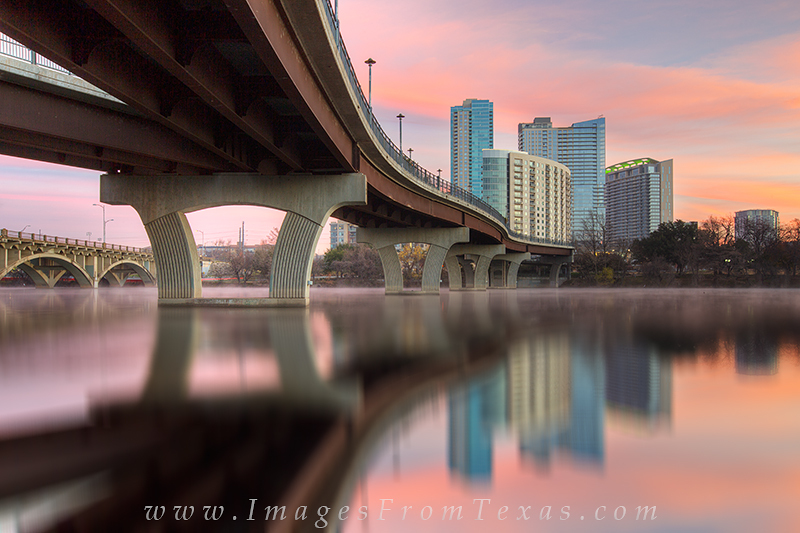 From beneath the Pedestrian Bridge that crosses Lady Bird Lake, you have a nice view of downtown Austin, Texas. I captured this photograph just off the hike and bike trail of Zilker Park. On this cold January morning, fog was rising off the water and the sky had a nice glow from the impending sunrise. Photo © copyright by Rob Greebon.